Anabelle Leigh, Miss Cameron County, is an up and coming beauty queen in Texas with an overbearing manager mom and a step dad full of good old boy wisdom and also alcohol. At the Miss Texas Rose pageant, she aces the Opera singing portion of the show on her way to being crowned Miss Texas Rose. Moments after receiving her crown, she dies from issues related to her eating disorder. Later, at the morgue in her hometown funeral home, the funeral director/embalmer kisses her back to life? She’s fine apparently, but has a new hunger for life and is less than enthused to be the center of attention. She’s haunted by macabre dreams of being buried alive. She decides to run away from home and the pressures of her family. One night, she breaks into the funeral home she came back to life in, seeking to remember what happened the night she was resurrected. After connecting with the young hot funeral director, she decides to stay with him and his father. Soon, she’s helping out around the funeral home that’s also a home – painting, planting crops, and hosing things down. Days go by and she grows closer to Elvis, but on the night they share a kiss she suffers a bout of smooching PTSD. The moment is cut short by the police, who are out looking for Anabelle. 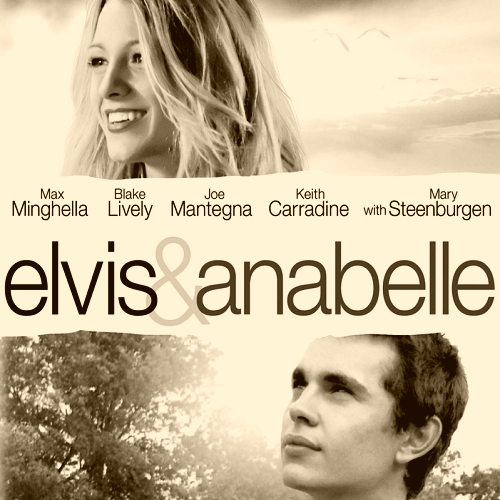 Elvis and Anabelle skip town in a hearse, leading to a romantic road trip and shoplifting spree. Disaster strikes when a gas station clerk recognizes Anabelle from a newspaper story accusing Elvis of necrophilia. Having never been told by Elvis of the magic kiss, Anabelle doesn’t know what to think and returns heartbroken to her family. Anabelle visits Elvis in jail, telling him she won’t press charges, but demanding that he tell her the truth of what happened that fateful night. After hearing the truth, she leaves Elvis… disappointed that he won’t embrace the miracles of life. Depressed, Anabelle doesn’t last long in her life before finding herself tempted by thoughts of taking her own life. But after a grand gesture by Elvis, Annabelle shakes off her depression and reunites with Elvis in a sunflower field.